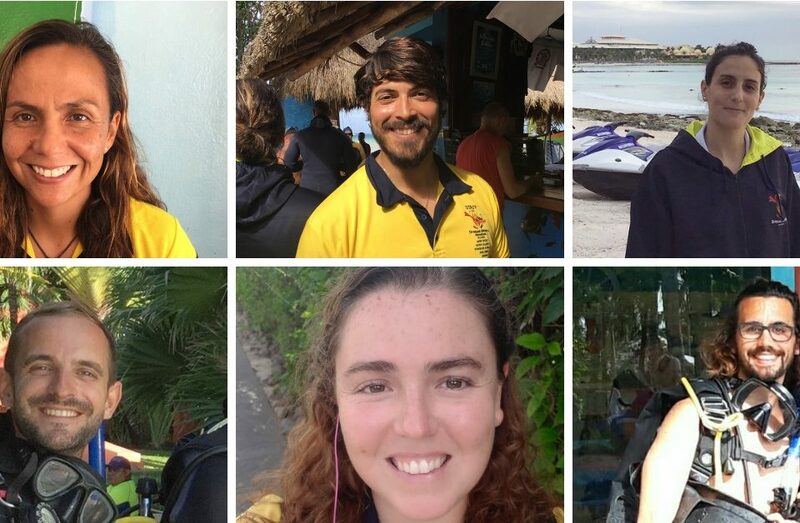 Sietske van der Heyde is a 23 years old PADI Master Scuba Diver Trainer, who works in the Dressel Divers center in Playa del Carmen (Mexico). She is not only an extraordinary diver and a friendly and patient instructor. Sietske is also a great climber and skier, an avid explorer in constant search of new experiences. 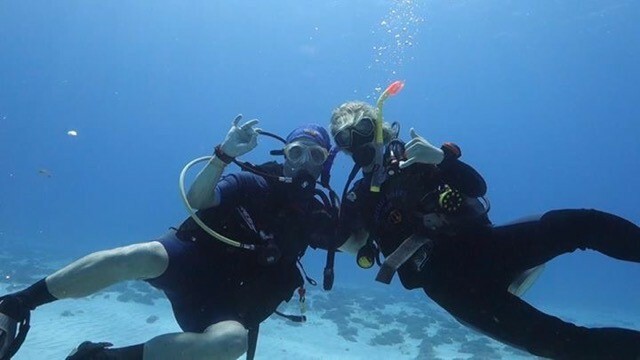 Despite her youth, she has been diving since 9 years ago and has lived a good bunch of adventures, diving among some of the best reefs in the world. With all this background, she is the perfect person to kick off our new series of dive interviews, called Teach & Dive.From now on, once a month you’ll have a date with one of our instructors. They will talk to us about their most incredible experiences and their beginnings in diving. They also will tell us the most amazing secrets of the regions where they Teach & Dive. Have a seat, grab a drink and pay attention, Sietske has many interesting things to tell us. I started diving when I was 14. My mom was a diver and I did my open water course while visiting my cousins in San Diego. It’s hard to pick one. The incredible dives I’ve had stand out for very different reasons, either incredible wildlife, beautiful conditions and/or with amazing people. A few weeks ago I was on a dive with an amazing client and we managed to find a school of over 50 Tarpon bigger than me which was incredible. 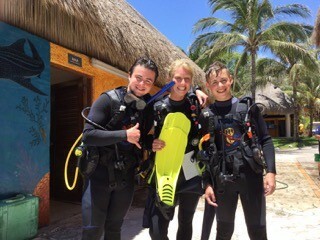 I realized I wanted to be an instructor a short way into my divemaster internship. 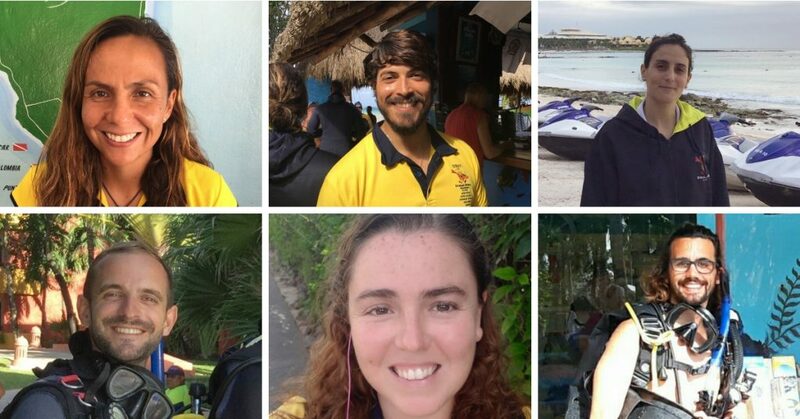 Working alongside the instructors gave me a glimpse into their life. A few weeks ago I was on a dive with an amazing client and we managed to find a school of over 50 Tarpon bigger than me. 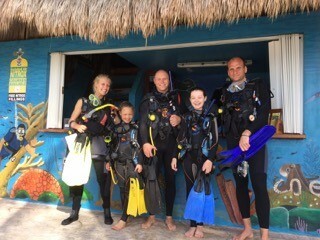 I did my PADI IDC right here in Mexico, with Paul Flower as course director. A dive instructor needs to be patient and organized. You may have to wait for your clients but they shouldn’t have to wait for you. But above all, they should be enthusiastic. Your job is to take people into a beautiful underwater world they might not have experienced before. It’s relaxing and exciting. Every dive is a new experience. Diving is a total immersion in a world that is closer to home than we think and seeing the wonders of the coral reef while also experiencing the freedom of 3-dimensional movement. Scuba diving allows people to gain appreciation and maybe even understanding of why we need to protect this fragile ecosystem. 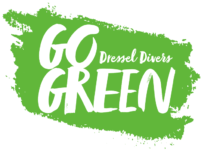 I started in Dressel Divers Dominican Republic as an intern. When I finished my internship in January I came to Mexico to do my IDC and I have been working here since then. I found the Dressel Divers internship very quickly into my search and they responded to me immediately. They give people a chance to get their foot into the industry. As a dive instructor, your job is to take people into a beautiful underwater world they might not have experienced before. I would love to go to Cozumel. I had the chance to work a few days there and the diving is incredible. It gives you an opportunity to develop experience. The one that jumps to mind was with a 10 year old boy and his father. 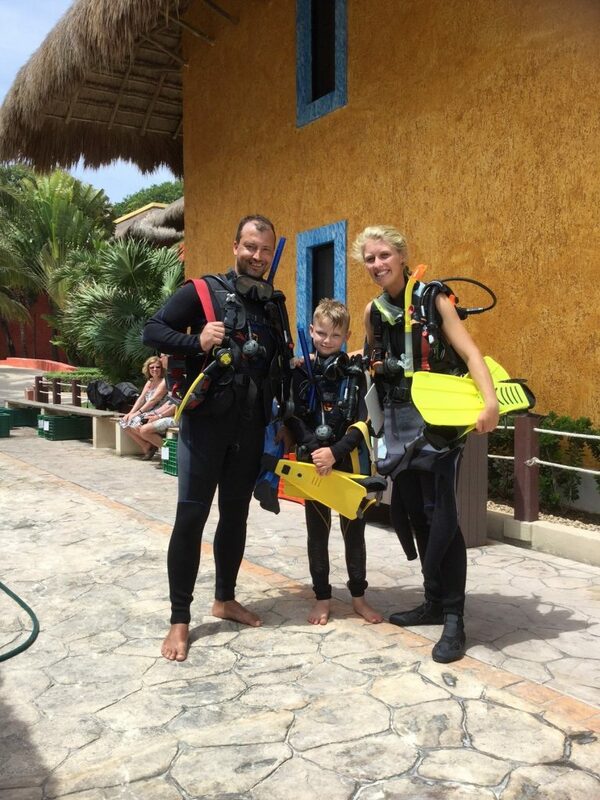 A day before, they started the discover scuba diving with me…the son had the best day of his life snorkeling. In addition, It has been the fathers dream to try scuba diving, but he had never gotten the opportunity. I was super lucky to be the one to take them in the sea for the first time, and I watched them absolutely fall in love with diving, with the reef and the ocean. Watching that passion grow might be the most rewarding part of being an instructor. Do they stay in touch with you via social media? I am still in touch with them and with others. My other hobbies include climbing, skiing, camping and hiking: all of which are quite difficult to keep up with here in Mexico. My days off here have been spent going to see the Mayan ruins (in Tulum, coba and Chichén itza) or cenotes for diving or relaxing. Apart from diving there is a lot of history here. Go and see the Coba ruins!